I don't make mods I just like creating Characters so I thought I'd start uploading some so if I've made any mistakes please be gentle and just inform me and I'll do my best to fix it. 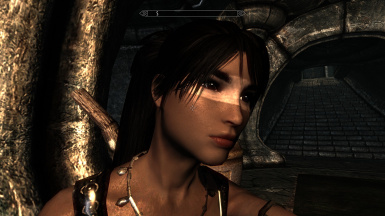 Here is Alexian Stormfast, she is a Nord who I have played for hours and days on end and hope you like yourself. All screenshots posted are of Alexian however in order to get what you see you will need a number of other mods which I will provide links to don't worry. There are also some Armor and clothing in the screenshots also from mods, if you do not know these and wish to know where they are again I will mention. To use the file, Download it and simply put the file into your own skyrim save directory, (for example mine would be in Documents/My Games/Skyrim/Saves). The modded armors on the screenshots by the ways were Vagabond Armor (which was included in the popular mod "Immersive Armors") and Night Strider Armor (Which is a standalone Mod called Triss Armors). 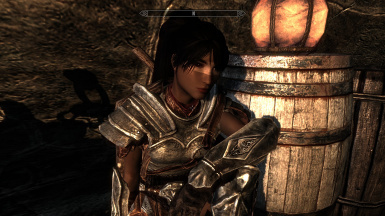 Now added a small addition that makes Alexian a Follower at the Bannered mare. Have fun with her. 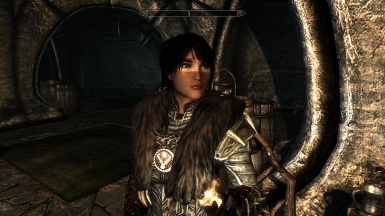 Alexian is a Strong hardy Nord hailing originally from Helgan. When she was old enough she decided it was time to explore the world. However just on the 6th night of her adventures she received news that Helgan had been completely destroyed by a mysterious black dragon. After returning she could not find her siblings from all the wreckage and vowed to find this black dragon. 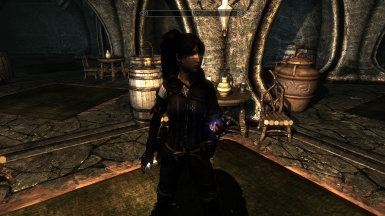 After travelling to the closest town of riverwood she overheard news of a dragon headed towards Whiterun. After blazing a trail onwards she discovers a destroyed watchtower along with a skeletal remains of a dragon to which a guard informs her of "The Dragonborn". 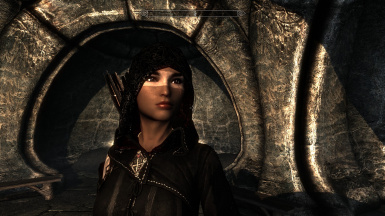 She heads towards whiterun and sets up at the bannered mare to discover the whereabouts of this dragonborn hoping to join forces and track down this Black Dragon.